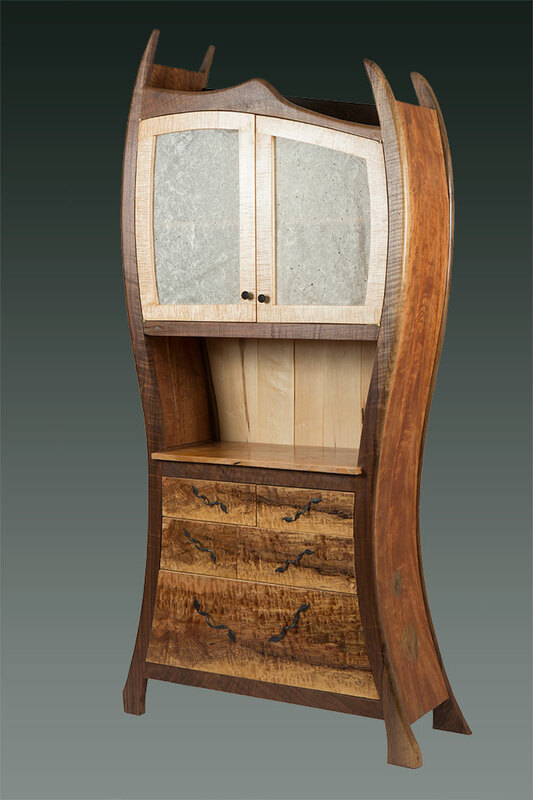 This whimsical cabinet features shop made mahogany veneers and highly figured western big leaf maple. The secondary woods are walnut, maple, and apple. 39″x86″x16″.